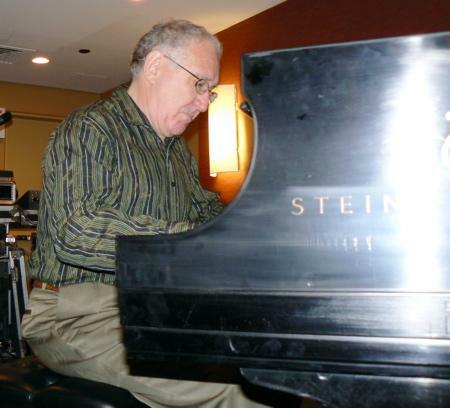 Bob Silverman wowed a select but enthusiastic audience Friday with a concert that consisted of two Mozart sonatas (K303 and K300) and three Brahms piano sketches. He was playing a Steinway parlor grand that sounded wonderfully Mozartian. When I finally made it through the crowd and into the Music Hall room, I took one look at pasty party animal, Leland Leard, and cried, "Good god, man! How are you feeling?" Late Sunday afternoon, with only about an hour left before the show closed, it was still standing room only in the Music Hall room. Perhaps that had something to do with the choice of music. 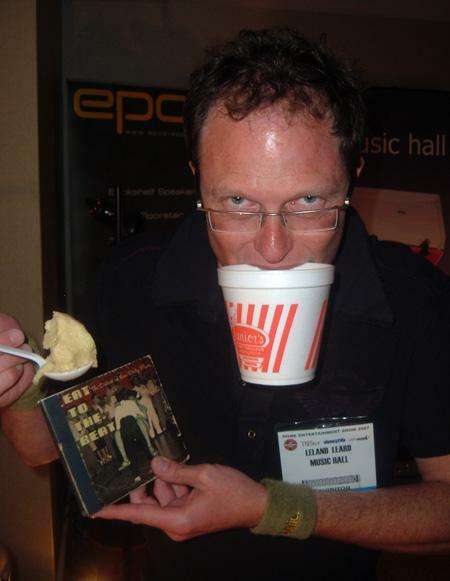 I walked in to be greeted by the naughty sounds of the Bear Family Records compilation, Eat to the Beat: the dirtiest of them dirty blues, featuring song titles I can't even mention here. Jeff Joseph was demoing his RM7si compact monitors ($2300/pr) with Bel Canto's 150Wpc 3001 integrated amp ($2200) to spectacular effect. Why was that surprising? Because his source was an iBook laptop feeding a usb output into the 300i. I'd seen the Bolzano Villetri TorreBV HF 3005 ($11,400/pair) at last year's CEDIA Expo, but I was felled by bugs in the spinach and BV was hobbled by a display area in the corridor in front of the convention center's main space. 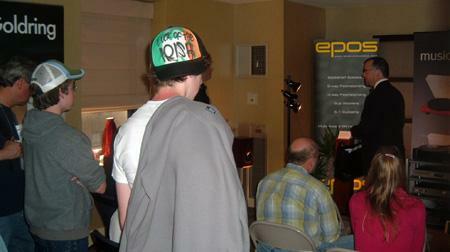 The program of seminars and workshops has been an important part of the Home Entertainment Show since its inception in 1987. For the past few years, Sunday afternoon has been the time for Stereophile Senior Editor Michael Fremer's guide to getting the best from LP playback. 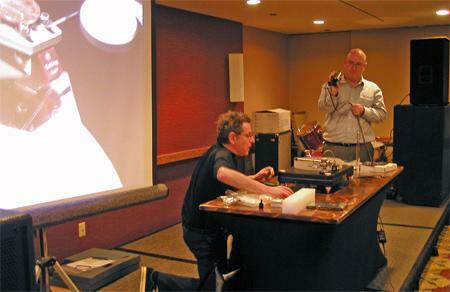 At this year's action-packed session, he showed a packed house to how to mount and align a phono cartridge on a VPI turntable, aided with close-up video help from Dave of Show contractor Moorea Marketing. Performing music in a group is all about collaboration and communication. 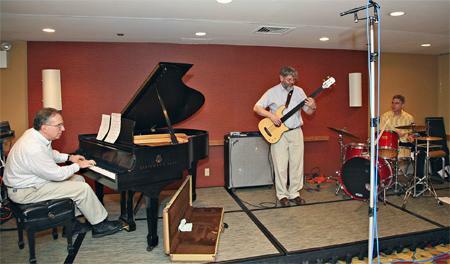 Look closely at this picture of the John Atkinson Trio, in performance on the last day of HE2007. 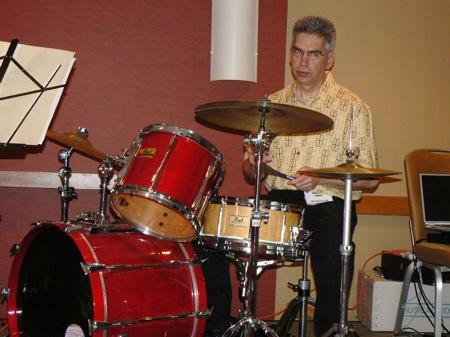 JA is playing a solo, and both pianist Bob Reina and drummer Allen Perkins are listening and watching intently. In his comments after the number, Bob said that they had some differences of opinion about how to end the number, and resolving these differences required some give-and-take in the actual playing. Now that's jazz! 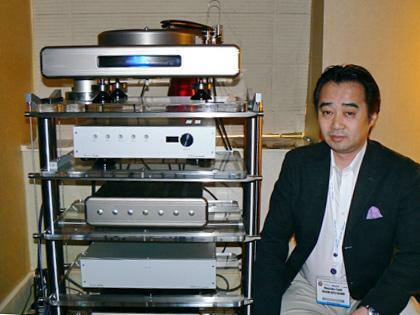 Masataka Tsuda designs and manufactures both Concert Fidelity and Silicon Arts components. What's the diff? 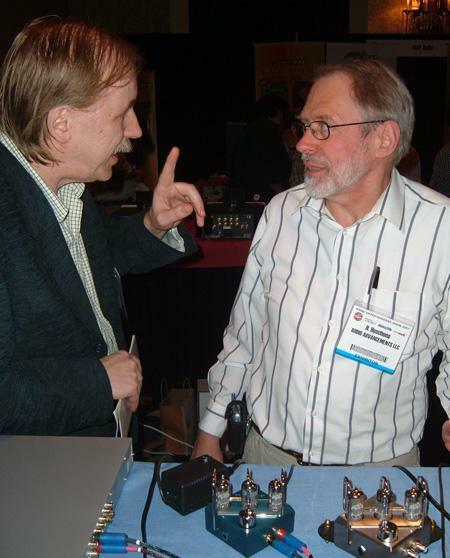 Concert Fidelity is his tube line; Silicon Arts Design represents his thinking on—you guessed it—solid-state. "That's an impressive soundstage for a two-way monitor," I thought looking at the diminutive Confidence C1 loudspeaker, but hearing a wide, deep soundstage. Dynaudio's 25 lb pound, two-way ($7000/pair plus $450/pair for two) features a 7" woofer and the Danish company's acclaimed Esotar2, 28mm, soft-dome tweeter. 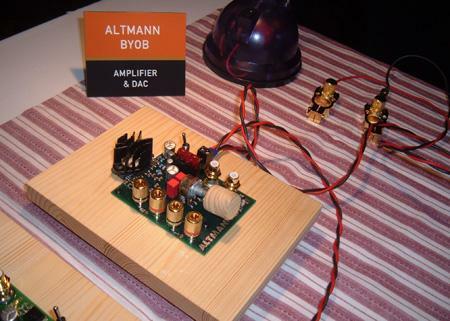 The drivers are mounted on a baffle that is said to be decoupled from the cabinet. 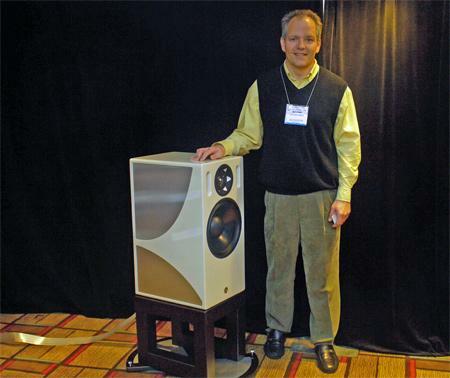 Dynamic range was superb driven by Simaudio Moon W-7M monoblocks, thought JA, who thought that this system's reproduction of Stereophile's new Attention Screen CD was one of the best he heard at the Show. "Now that's real room lock," I exclaimed, listening to the deep pedal organ notes from John Mark’s recording of James Bustard playing Herbert Howell’s Master Tallis’ Testament, recorded at the Church of St. Stevens in Providence, Rhode Island. 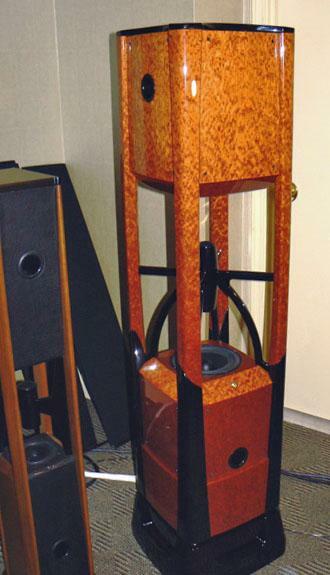 Tierry Budge's new loudspeaker, the floorstanding, two-way, Pearlized White, $18,990/pair speaker played the pipe organ pedal chords with thunder and power when driven by the VTL S-400 amplifier and the new dCS digital front-end on one of the Sound By Singer rooms. The speaker's large enclosure holds both an external 12" woofer and an internal 12" driver, which allows Budge to rate the speaker's response down to an impressive 18Hz. 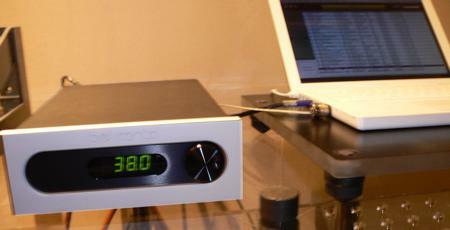 Budge claims the internal 12" minimizes group delay, reducing the driver's rise time from its nominal 500ms to 55ms. The tweeter is soft-dome, ring radiator made by Scan Speak. 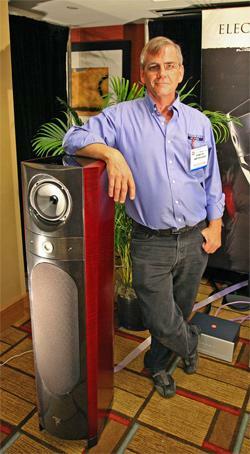 Ian McArthur of Audio Plus, North American distributor of the French Focal speakers, is looking casual and relaxed. And why shouldn’t he be? He's leaning on the Electra 1037 Be ($11,000/pair), which has a review coming out by Michael Fremer, a review that —if this is not telling tales out of school —may have people running to their Focal dealers. The sound of the speakers at the Show (Mikey's actual review samples, so they were well broken-in), with Pathos electronics, was one of those that made me stop as I was walking along the corridor to check out what was playing. 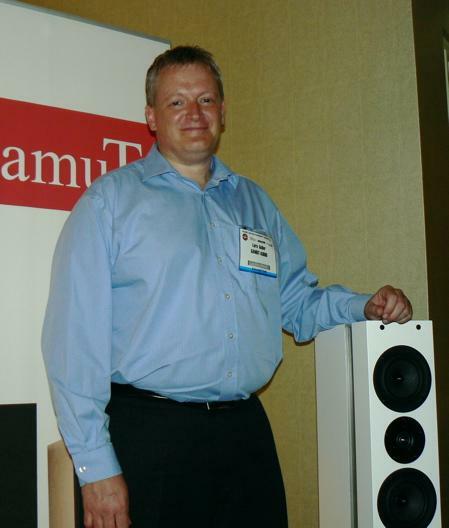 Lars Goller proudly rests on the GamuT Phi7 (price tbd), which couples five-midrange woofers in what he calls "perfect unison," thanks to GamuT's proprietary DC Coupled Midrange technology and Acoustic Coupled Driver technology. He says the tall, thin baffle, which arrays the woofers along almost its entire height, delivers excellent acoustic coupling to the listening room. Allen Perkins absolutely owned "A Night in Tunisia."